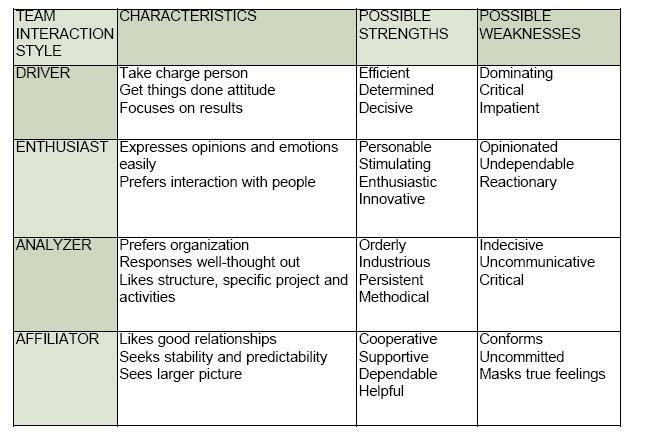 What is your Teamwork Style? •Do you like to like to interact with people? •Is "getting things done" most important for you? •Do you like to focus on getting the job done? •Are well-structured jobs more appealing to you? •Do you like your job to be stable and predictable? rather than the people you work with?